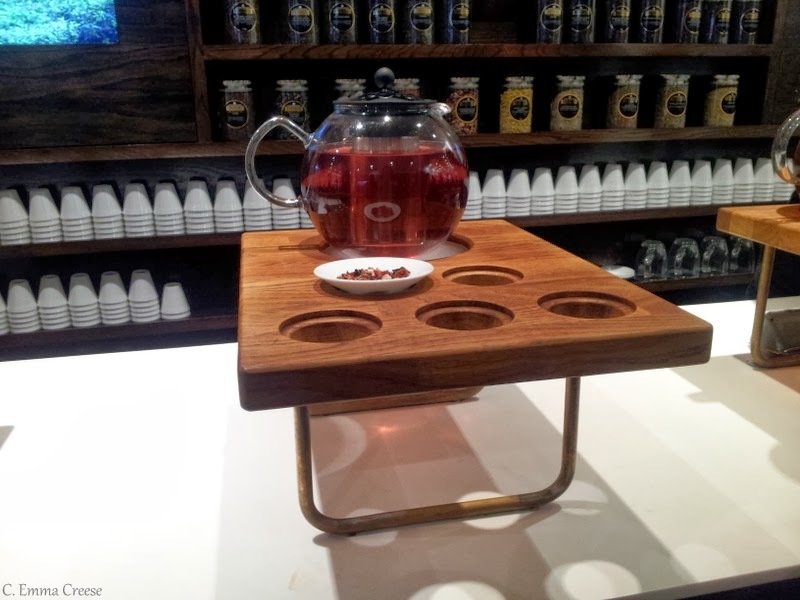 Tea is simply eponymous with Britain. Cut a Brit in half, and I have a suspicion that tea will even run through their veins (however that is only going by the volume my office mates consume). In a rather sweet way, it’s also the reason that I realised the extent that I was adapting to life in England with ease. Oh, and fun fact for the day: approximately 165,000,000 cups of tea are drunk on average a day in England alone. The Museum (ahem, Shop) is a tiny cabinet of curious. Sandwiched a stone’s throw from the internationally famous Fleet Street, the narrow frontage sits between two much larger buildings on the Strand. The figures proudly characterise the history of this tempestuous food stuff. 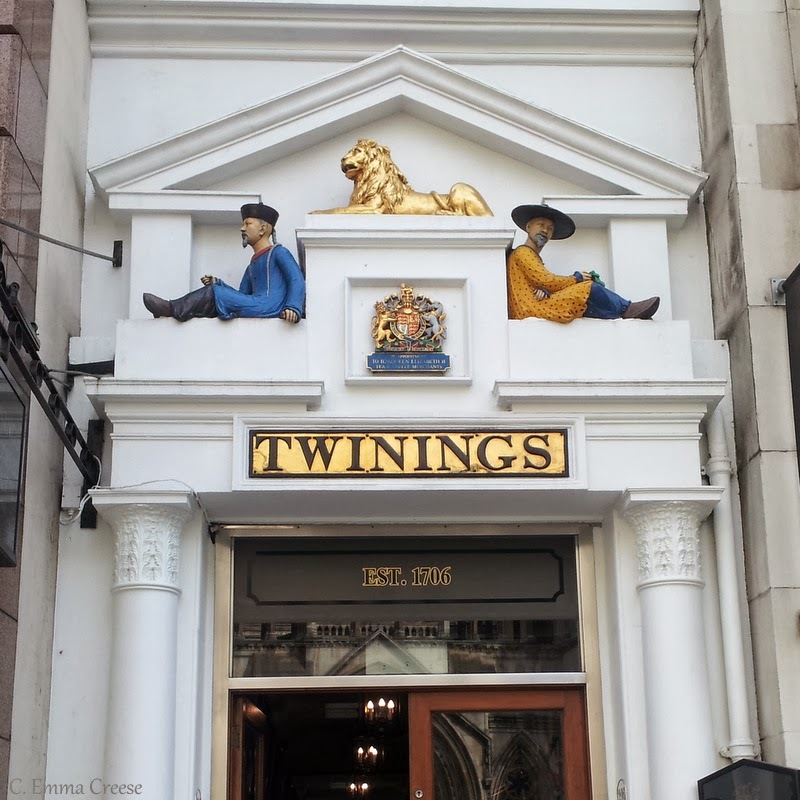 Thomas Twining bought Tom’s Coffee House on London’s Strand in 1706, and it’s believed that this is the longest running company in London that has occupied the same premises. 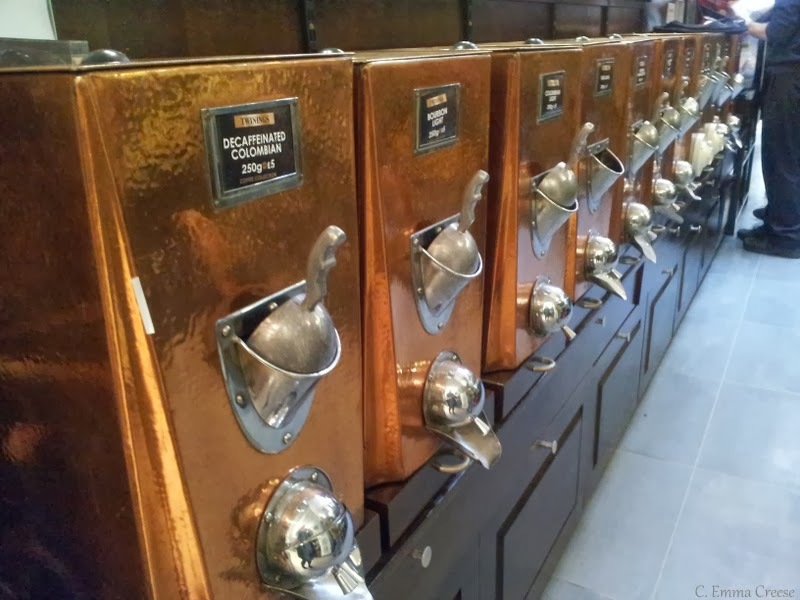 At this time Coffee houses were a popular feature of London life. 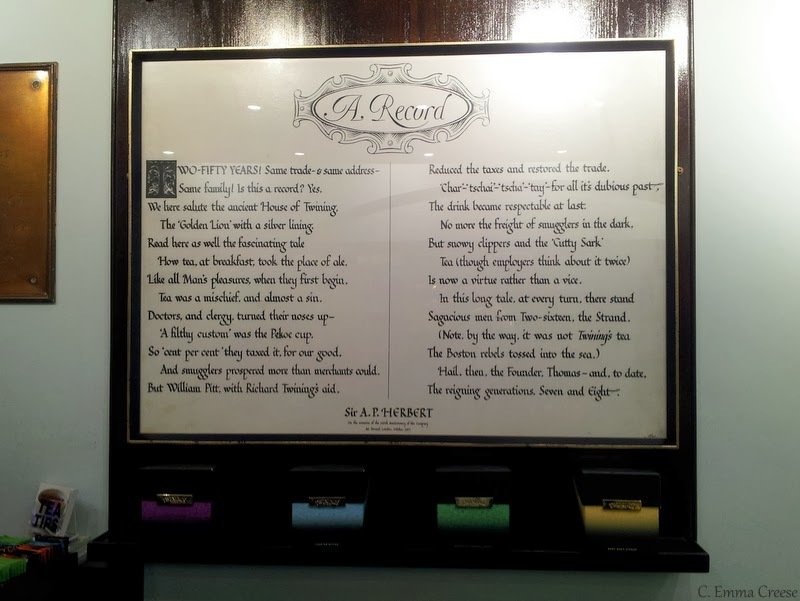 Men – but never women – of all classes would gather there to drink, gossip and to do business. 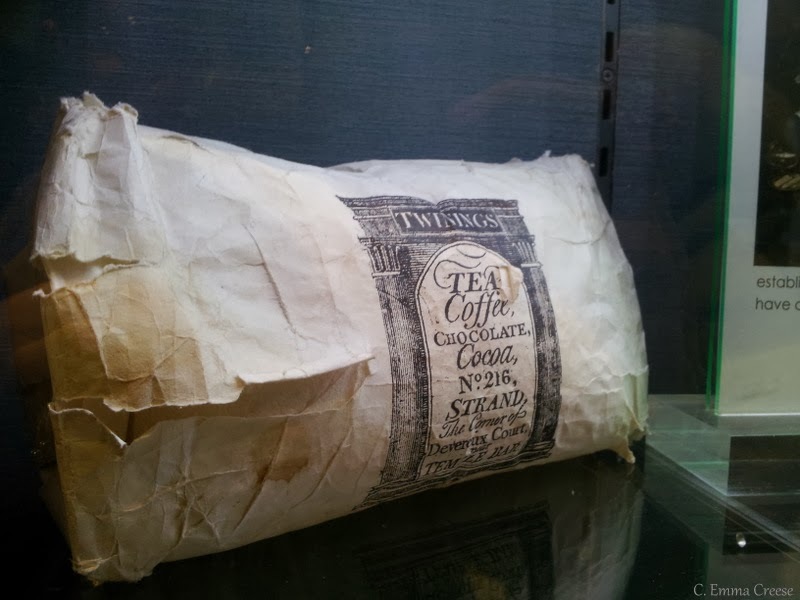 Thomas ran quite a large risk by selling Tea to the masses as Coffee was the newest fad and Tea was heavily taxed and had to be imported from China. Luckily the King was convinced that reducing the tax would reduce smuggling, and Tea became increasingly fashionable during the early part of the 18th Century. 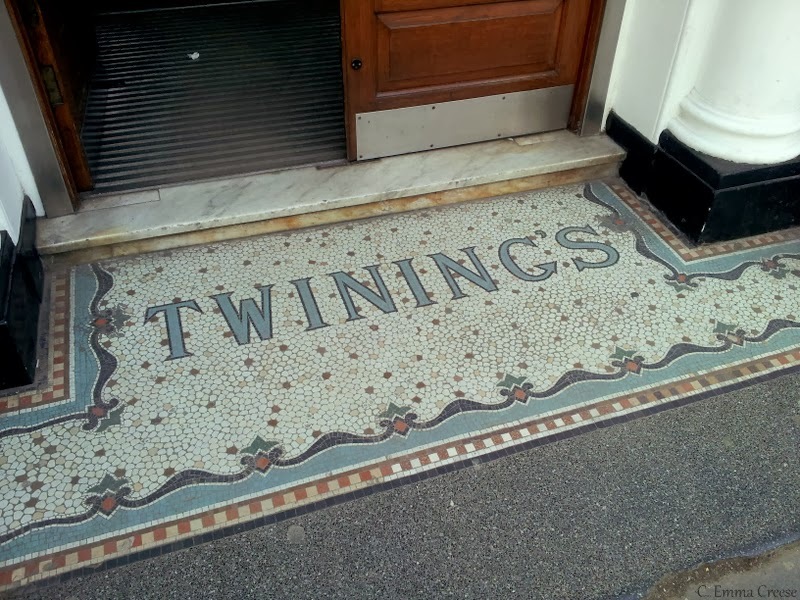 300 years later, his legacy lives on and tea is still sold here, all from the much expanded Twinings brand. 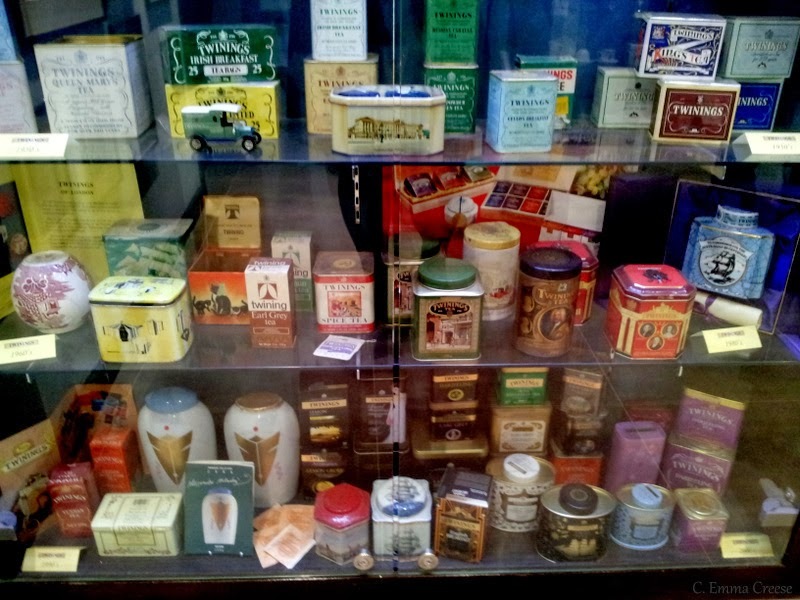 The Museum can be found at the back of the business and the shelves are full of period curios, displaying Twinings history and artefacts through the years. Luckily to get there once you’ve made your way through the browsing tourists, there is a refreshing tea bar, where you can try a taste of a few of their newest flavours for free. Perfect on a rainy London afternoon – and it has potential health maintenance benefits in cardiovascular disease and cancer prevention. 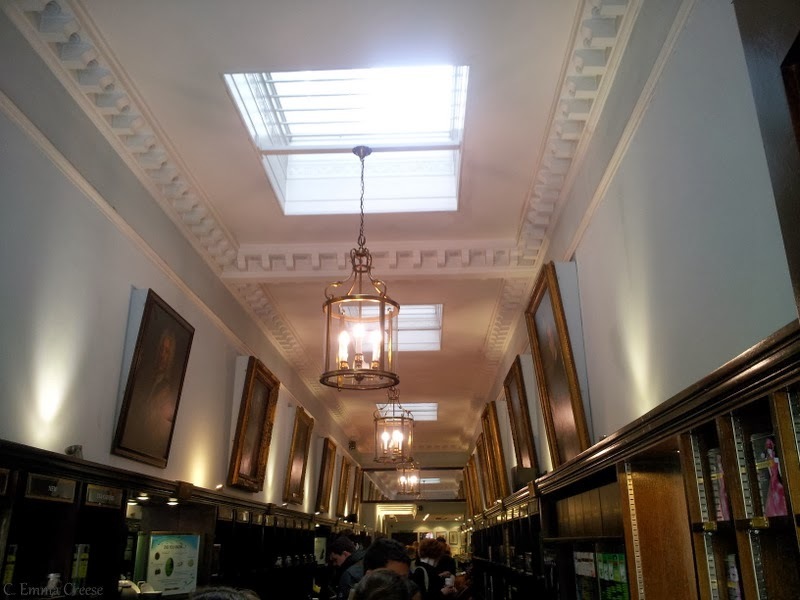 For further details on the Twining Museum/shop check out their website.